Traditional/arr. 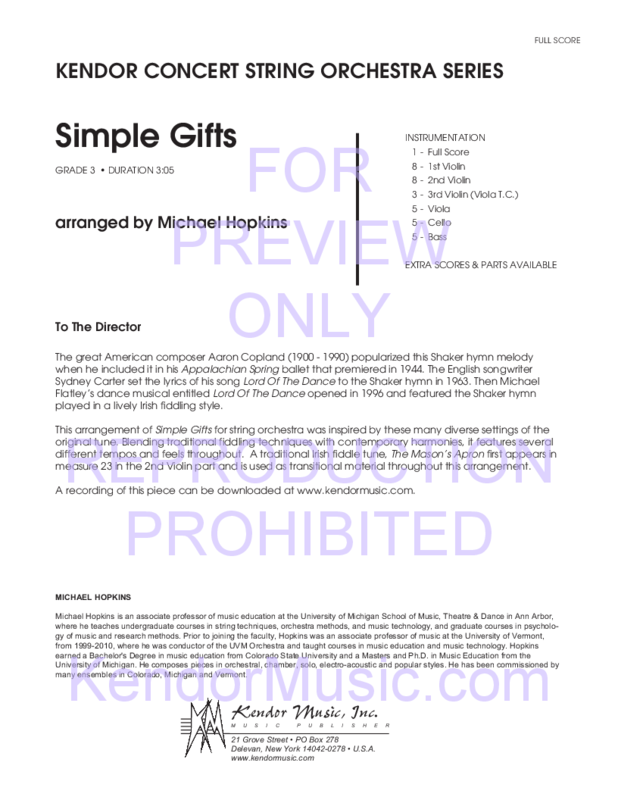 Michael Hopkins - Kendor Music, Inc. This exciting, energetic Grade 3 arrangement of the traditional Shaker hymn is sure to be a hit. 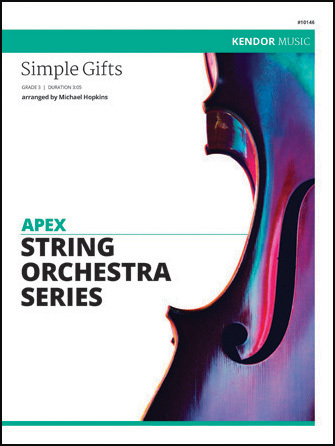 Blending traditional fiddling techniques with contemporary harmonies, this work gives your students the opportunity to experience the familiar and popular melody used in the song Lord of the Dance.